Robert enlisted in the Australian Imperial Force on 25 Feb 1915 and served in 17th Battalion at Gallipolli and later transferred to 2nd D.A.C. in France where he served until the end of the war and was discharged on 18 Oct 1919. Robert Houston was born on 28 June 1894. 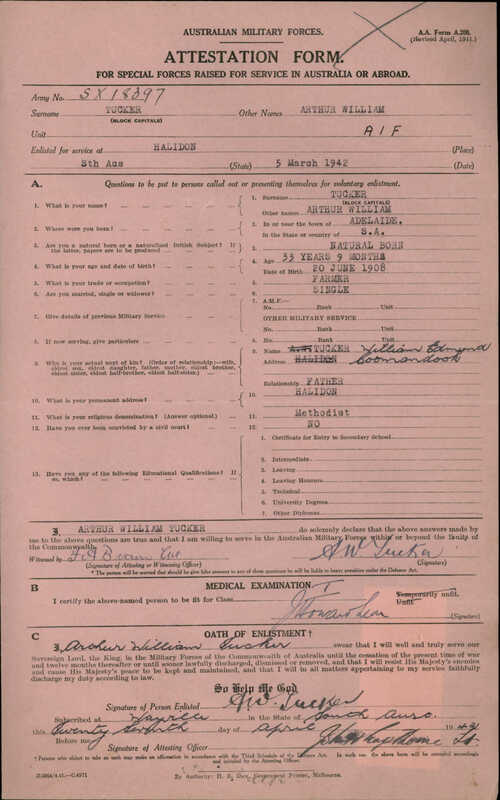 He was 5ft 4 inches tall, darkish complexion with brown eyes, dark hair and single when he enlisted in the AIF in Liverpool on the 26 February 1915. On the 25th August 1923 Robert, then 29 years old Married Minnie Bottcher aged 28yrs. They were married in the Methodist Church at Stanmore, New South Wales, Australia. In 1924 their daughter Jean was born and Minnie's children from her first marriage were, James 8 years and Beryl 7 years old. They were live at 97 Denison Street Newtown New South Wales Australia. The family eventually moved to 429 Rocky Point Rd Sans Souci and Robert was employed at a Founders enameling baths. During the great depression, Robert, then in his late thirties found it hard to get work. But he did get employment on the Harbour Bridge during it construction between 1924 - 1932, along with his brother-in-laws, James Ramsay and Nils Isaksen. Once the great depression ended, Robert returned to his trade and worked at Mack el Raiths Baths, the bath founders, until he retired at age 65 in 1959. On 30th Apr 1943 Robert finally received his 1914-15 Star, British War Medal and the Victory Medal. In march 1967 he received the ANZAC Commemorative Medallion. Robert and his brother-in-law Rudy Burcher loved to watch the 18 foot yachts race on Botany Bay from a charted ferry. He was an esteemed veteran member of the St George Motor Boat Club. On the 28 February 1983, Robert Houston passed away in the Endeavor Nursing Home, at age 89, just 31 days before his Brother-In-Law and good friend, Nils Isakson.